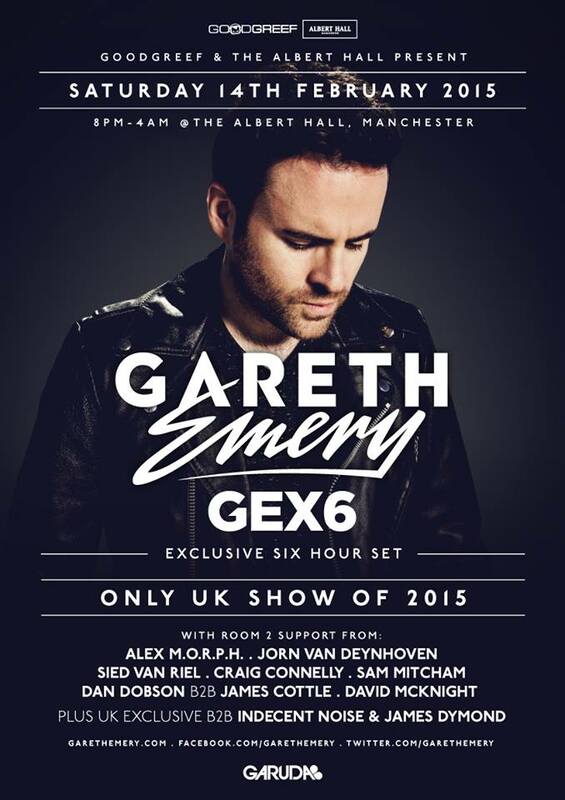 Gareth Emery returns to The Albert Hall, Manchester with an exclusive 6 hour Open to Close set for his ONLY UK show of 2015. Back by Public Demand! Gareth Emery returns for a 6 hour Open to Close set at The Albert Hall on February 14th! This will be his ONLY UK show of 2015 and with Room 2 support from Alex M.O.R.P.H, Jorn Van Deynhoven, Sied Van Riel, Craig Connelly, Sam Mitcham, David McKnight, Dan Dobson & James Cottle plus UK Exclusive B2B (Indesent Noise & James Dymond).